Today is all about the 4 products that you probably already have in your house right now that can clean your home from top to bottom! 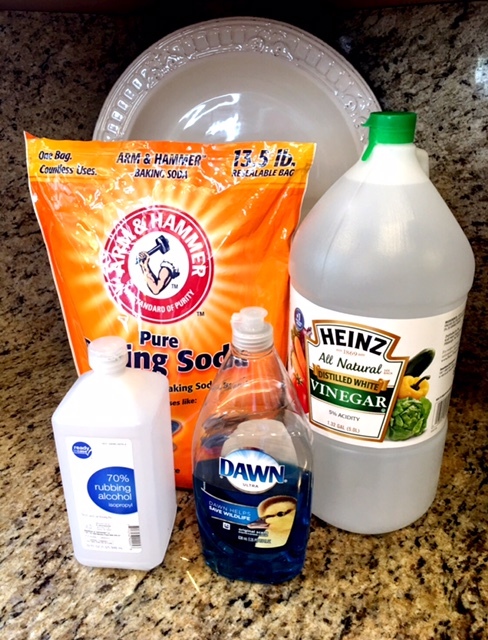 By popular request I am sharing the DIY cleaners that I use to clean my home. 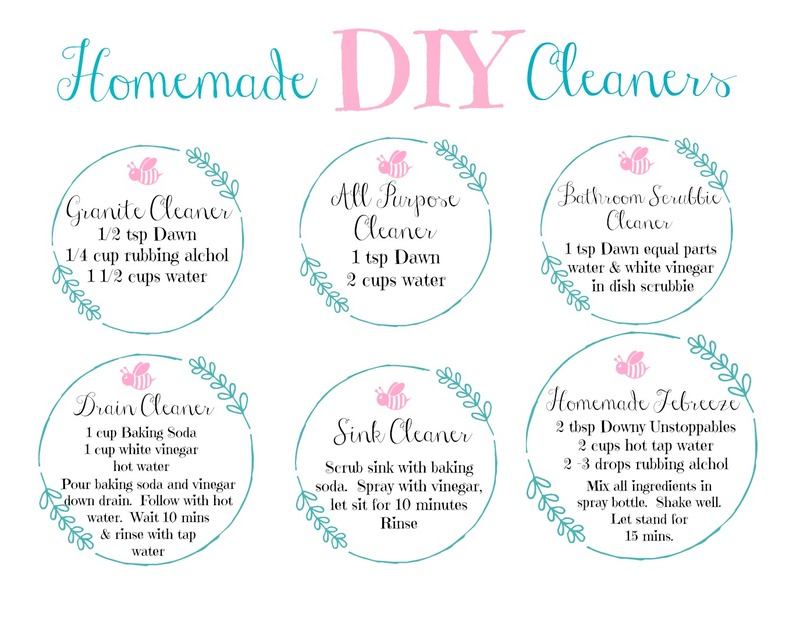 I do use store bought cleaners for really big jobs or cleaning jobs that need a little more muscle, but these are the DIY cleaners that I use daily and weekly to clean my home. What you will need is some baking soda, which is a non toxic mild alkali that actually makes dirt and grease dissolve. White vinegar which is acidic and can dissolve soap scum and hard water buildup. Rubbing Alcohol which is a natural disinfectant and Dawn dish washing liquid which is a very gentle cleaner but is tough enough to cut grease. 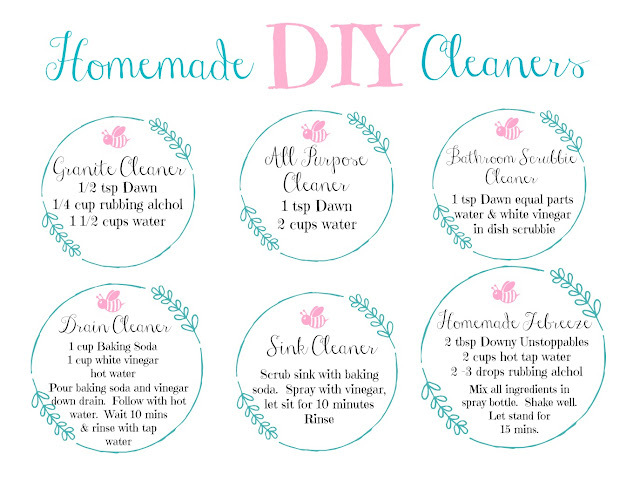 I have created 2 free printable with 12 DIY Homemade Cleaner recipes. 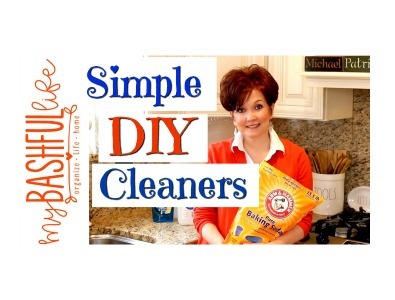 You can download your copies HERE and even more DIY Homemade Cleaner recipes HERE. You may find variations of these cleaning recipes on line. The ones that I have included here are the ones that work best for me. 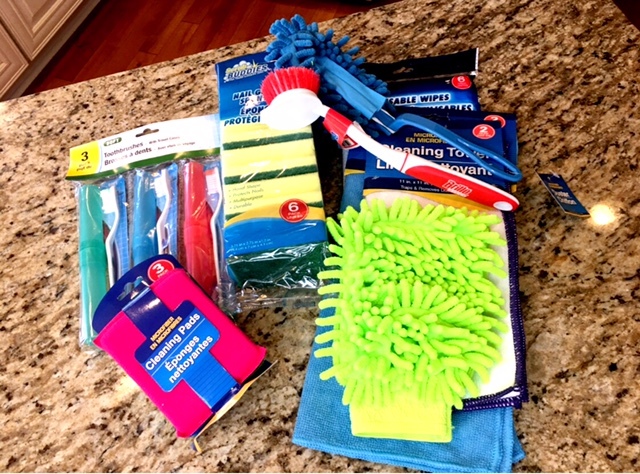 To see the cleaning tools I use an more information about the DIY Cleaning Recipes watch the video below! Thank you so much for visiting today and if you have any questions or video requests, please put them in the comment section below! So until I see you in that next video, I hope you love the life you have ! Thank you so much! I am so glad the post was helpful!